That kind of thinking is totally upside-down to what the rest of the world would like to say about God, but it is absolutely essential to the way this man was able to live in a world with real suffering! Piper: “What kept [Spurgeon] going was the absolute confidence that every blackness over his soul was a cloud sent by the living God. ” Does that sound crazy to you? Many modern thinkers, frightened at the implications of this kind of God, have attempted to clip the wings of God’s omniscience and sovereignty. For example, recently developed doctrines such as “Open theism” strip God of his complete knowledge of the future. What brings you more comfort- a God too weak to be in control of our suffering, too loving to be responsible for suffering of any kind, or a God who orchestrates suffering for our good? 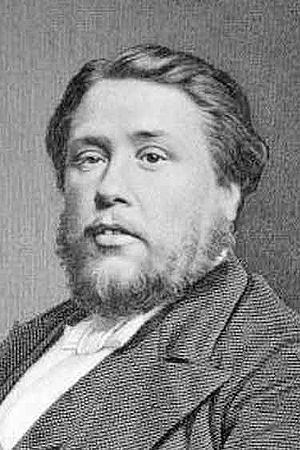 Piper says, “for Spurgeon this view of God was not first argument for debate, it was a means of survival.” Spurgeon knew from experience that at some point, each of us will face suffering. We will only swallow this cup with joy if we know that it is filled by the hand of a loving and sovereign God. Let me make it plain. I believe like a child that suffering will be healed and made up for, that all the humiliating absurdity of human contradictions will vanish like a pitiful mirage, like the despicable fabrication of the impotent and infinitely small Euclidian mind of man, that in the world’s finale, at the moment of eternal harmony, something so precious will come to pass that it will suffice for all hearts, for the comforting of all resentments, for the atonement of all the crimes of humanity, of all the blood they’ve shed; that it will make it not only possible to forgive but to justify all that has happened with men–but though all that may come to pass, I don’t accept it. I won’t accept it. I must have justice, or I will destroy myself. And not justice in some remote infinite time and space, but here on earth, and that I could see myself. I have believed in it. I want to see it, and if I am dead by then, let me rise again, for if it all happens without me, it will be too unfair. Surely I haven’t suffered, simply that I, my crimes and my sufferings, may manure the soil of the future harmony for somebody else. I want to see with my own eyes the hind lie down with the lion and the victim rise up and embrace his murderer. I want to be there when every one suddenly understands what it has all been for. All the religions of the world are built on this longing, and I am a believer. But then there are the children, and what am I to do about them? That’s a question I can’t answer…If all must suffer to pay for the eternal harmony, what have children to do with it, tell me, please? if the sufferings of children go to swell the sum of sufferings which was necessary to pay for truth, then I protest that the truth is not worth such a price. I don’t want the mother to embrace the oppressor who threw her son to the dogs! She dare not forgive him! … she dare not forgive the torturer, even if the child were to forgive him! And if that is so, if they dare not forgive, what becomes of harmony? Is there in the whole world a being who would have the right to forgive and could forgive? I think many atheists feel this way. Douglas Wilson has a quote that goes something like; ‘every atheist says two things: 1. There is no God. 2. I hate him.’ Ivan rejects God not because his heart does not believe, but because he won’t accept the world God has created. He doesn’t want eternal salvation if it means that children must suffer, and suffer horribly, in this lifetime. I’m going to excerpt to the end of the section. Ivan poses Alyosha a difficult question. Hold out to the end, because the end is really good. That’s rebellion,” murmured Alyosha, looking down. “No, I wouldn’t consent,” said Alyosha softly. 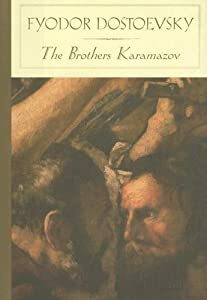 Alyosha doesn’t understand suffering any better than Ivan does, but he knows a powerful truth which gives him the resources to deal with suffering. Jesus Christ entered into our suffering. He was the only truly innocent child, and he was ripped up by the Roman dogs in the greatest display of earthly injustice. Alyosha gets this. It was the shedding of Christ’s innocent blood and absorbing the wrath of God that makes him able to forgive all, and able to redeem all. To paraphrase Tim Keller: we don’t know why God has allowed suffering in the world, but we know what the reason isn’t. We know it isn’t that he doesn’t love us. He proved that he loved us by entering into our broken world of suffering, where he was torn apart on our behalf. He endured what we could never have endured. In this world of suffering, we do not have to believe in a Savior who is untouched by it. Ivan would rather cling to his “unsatisfied indignation” at the injustice of the world rather than worship at the feet of Jesus. Alyosha is not the intellectual that Ivan is, but he does not need to understand suffering to love and worship the Christ who suffered. He has a simple faith that when Christ redeems this world it truly will be exactly what we’ve been longing for- in Ivan’s own words; “for the comforting of all resentments, for the atonement of all the crimes of humanity, of all the blood they’ve shed; that it will make it not only possible to forgive but to justify all that has happened”. Then I saw a new heaven and a new earth, for the first heaven and the first earth had passed away, and the sea was no more. And I saw the holy city, new Jerusalem, coming down out of heaven from God, prepared as a bride adorned for her husband. And I heard a loud voice from the throne saying, “Behold, the dwelling placeof God is with man. He will dwell with them, and they will be his people, and God himself will be with them as their God. He will wipe away every tear from their eyes, and death shall be no more, neither shall there be mourning, nor crying, nor pain anymore, for the former things have passed away.